As a full time photographer, when I’m not photographing weddings and events most of my time is spent on architecture & commercial photography of all kinds. 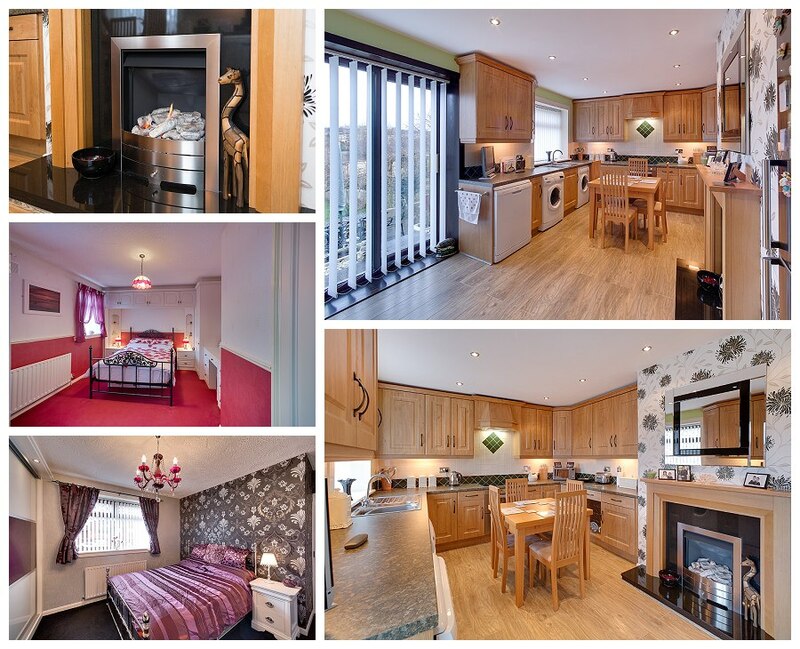 These are a few samples of the photographs I have prepared for Leeds estate agents. My images are perspective corrected to remove sloping vertical lines and give a “magazine look.” Lens and other corrections remove the distortions that are commonly seen in residential property photography. Skies may be replaced – no more dull lifeless skies making properties look drab! Do you have a white bathroom and kitchen? On my photographs they will look white! No nasty yellow glow to spoil them. Quality photographs can help sell a home by increasing the number of viewings. Quality, colour corrected images stand out on web listings and attract the viewers attention. If you are selling your home and would like to commission professional photographs please get in touch for further information. You can phone Paula on 0787 292 4103 or email her via the contact page here. Our property photography service is non-intrusive, photographs are usually taken in around 45 minutes and then professionally processed. We will give you guidance on anything that needs to be moved to improve the images. If you’d like to see the Ollievision portfolio for commercial property including shops, hotels and restaurants please ask and Paula can send you some links. Having your home professionally photographed also gives you something to remember it at it’s best. This entry was posted in Architecture & Interiors, Commercial photography, Corporate Photography and tagged estate agency photography Leeds, estate agent photographer, estate agent photos, key agent photography, keyagent photography, keyagent property photography, photographer for house sales, photos for selling house, property photos, Residential property photographer, residential property sales particulars. How much to photograph a house to be listed on rightmove? 4 bedroom, 2 reception, hallway, 2 bathrooms etc.